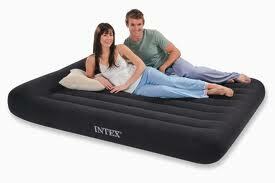 Intex 64150 - Intex Queen Size Durabeam Classic Pillow Rest Airbed with Built-in Electric Pump. For those who need a pillow but lack the space to carry one, this luxurious flocked bed is the answer. The waterproof and stain resistant surface makes it easy to keep clean while providing the soft comfort of home. 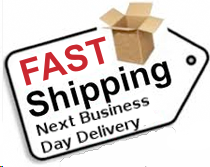 - Mattress approximate maximum dimensions 60'' x 80'' x 12''. - Weighs approximately 4.85 Kg. - Inflates in 1¾ minutes (Inflation time varies by desired firmness).